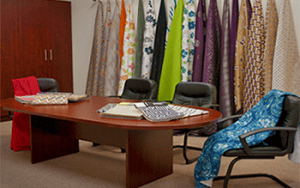 Eroica Enterprises is a value oriented converter of upholstery and decorative fabrics. We create high quality, rich looking home textiles at extremely competitive prices. By constantly researching and identifying the latest trends, we develop new products and adapt them to the different market needs. Our product line includes linen look fabrics, multi-purpose jacquards, velvets, sheers, embroidered drapery fabrics, blackout and suedes for use in sofas, draperies, pillows, bedspreads, tablecloths and party decorations. Our fabrics have the highest standard of quality control, having been tested for abrasion resistance and, in some cases, 701 fire resistance standards. We ship out of our warehouse in Miami, and we have stock and guaranteed continuity on all the programs we run. 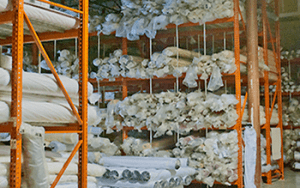 At Eroica Enterprises, we also provide our customers with complete fabric sampling services, going from design and artwork to sample manufacturing according to the customer’s needs and specifications. We serve most of the distributors, retailers and party rental companies in the United States, as well as furniture manufacturers, RV manufacturers and drapery manufacturers. We offer our customers a top of the line customer service experience, focusing on providing them with the best assistance and information available. We invite you to experience the outstanding quality of our products and professional service today.